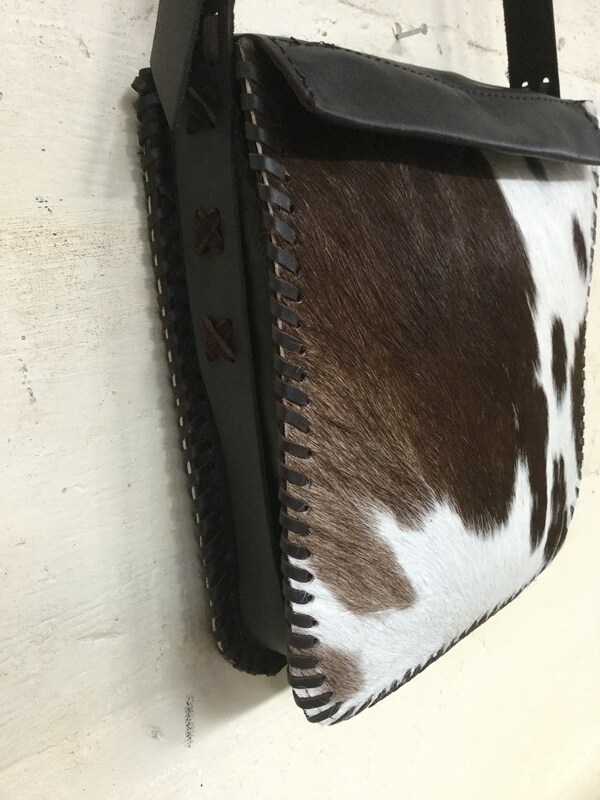 These bags are made from a beautiful quality leather and are hand made to last for many years. 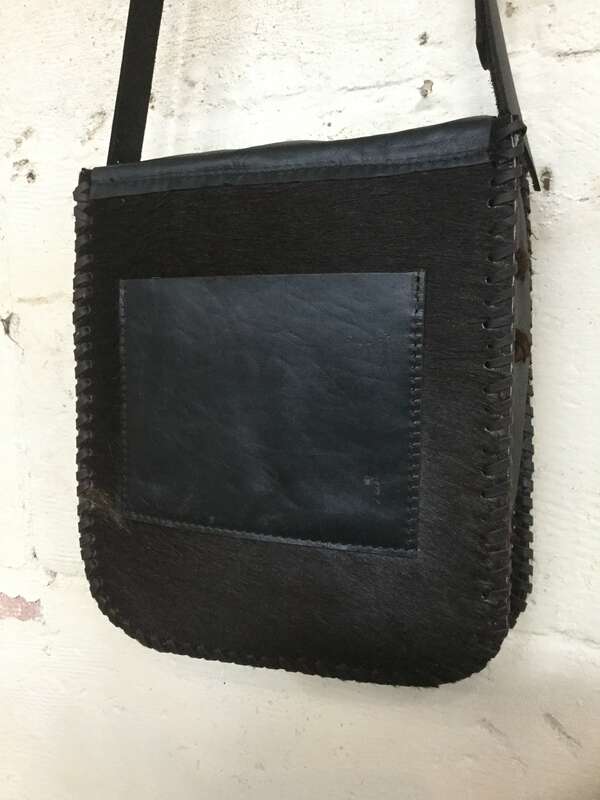 One leather pocket on the outside. 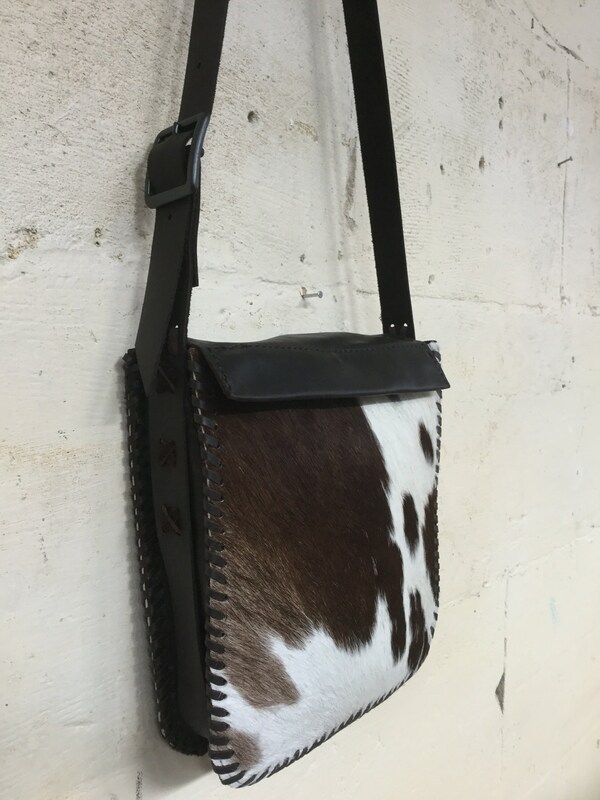 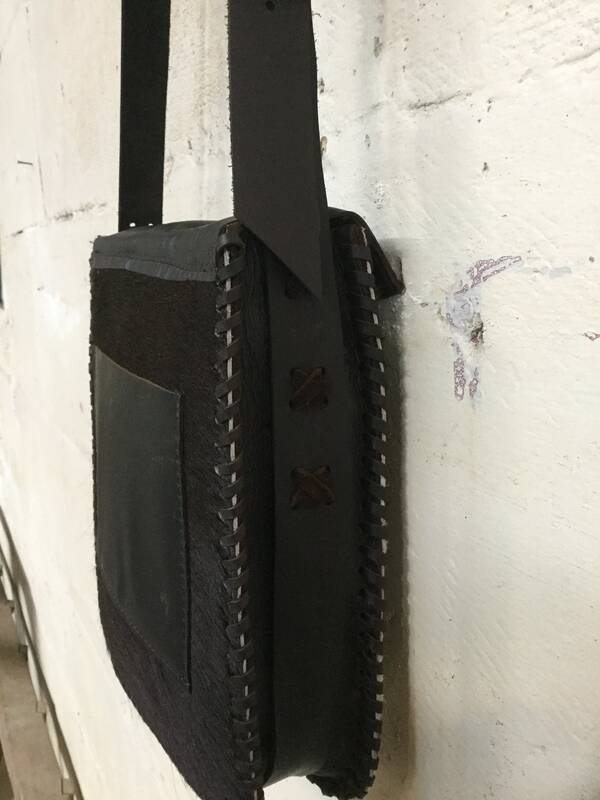 This bag has an adjustable strap with a dark buckle. 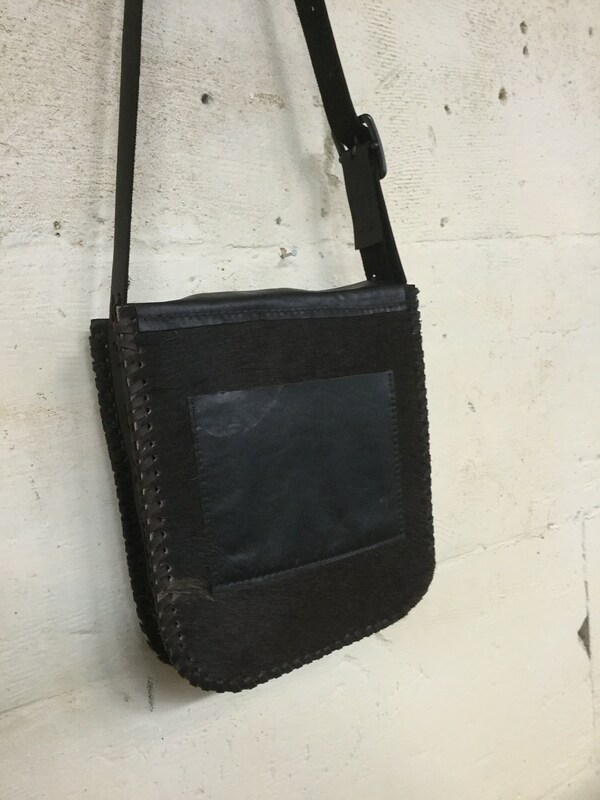 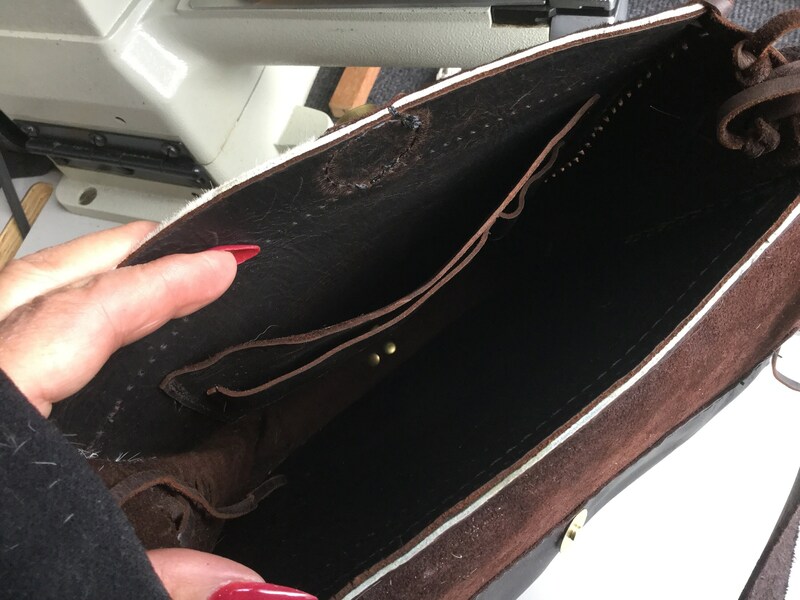 This bag has both the front and back laced with leather. 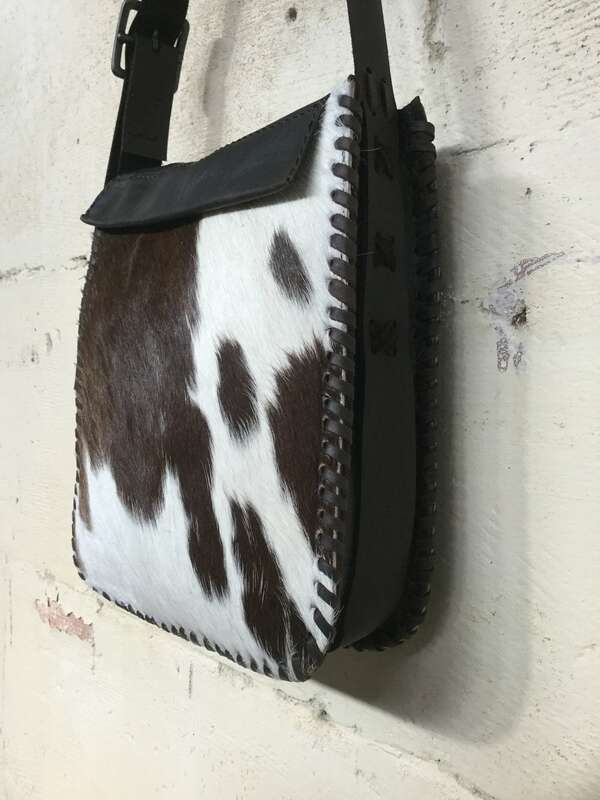 I can make these without the leather lacing for a discount of $100 (New Zealand) around $80 USA.